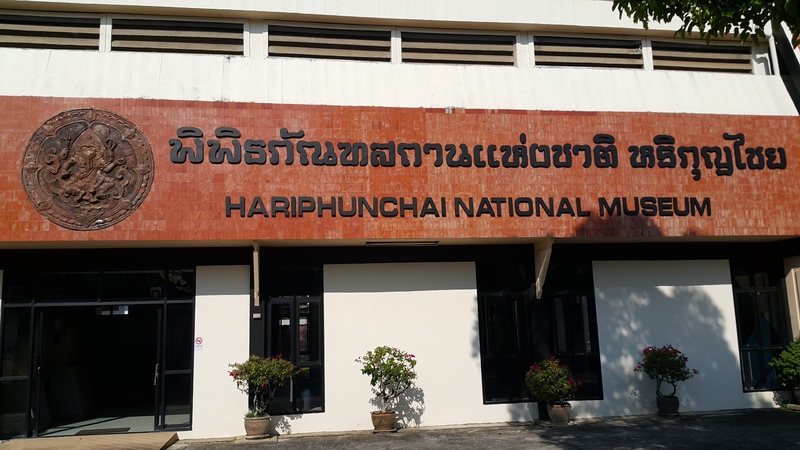 Hariphunchai National Museum is situated at Inthayongyot Road, Nai Mueang District, Amphoe Mueang, Lamphun, oblique to Wat Phra That Hariphunchai. The site was initially established in 1967 (2470 B.E.) by Phraya Ratchakun Wibun Phakdi, using a pavilion within Wat Phra That Hariphunchai’s area as an exhibition building. As it was later accredited as a national museum, Fine Arts Department agreed to elevate the quality of the museum to meet academic standard and constructed the new building on Inthayongyot Road opposite to the original place. The construction was completed in 1974 (2517 B.E.) and officially open for public five years after. Inside the museum, visitors can enjoy art objects and antiques very local to the northern region of Thailand. The exhibition is divided into three rooms. The first is the Stone Inscription Hall, located on the first floor of the main building. This open hall showcases 23 columns of stone inscription; seven columns from Hariphunchai period, sixteen from Lanna period. Continuing to the upper floor is where the Main Exhibition Hall - the long hall sectioned into three zones according to the periods of pre-Hariphunchai, Hariphunchai, and Lanna - could be found. The displayed objects range from skeletons, stone tools, iron tools, clay vessels, bracelets, Buddha images’ heads, to Buddhist votive tablets and many more. Last but not least is the Folk Arts and Carved Woodenwares Hall, which is set in the separate small building with the connecting hall from the main building. Most of the articles reflect the rounded local wisdom from Lanna and Rattanakosin period, for example, tools in everyday’s use, farming utensils, iron forging tools, traditional musical instruments, and architectural decorative carved wooden items such as ‘Tuai’ or bracket and ‘Ham Yon’ or decorating carved wooden clearstory. © 2017 Norn Lamphun Boutique Hotel. All rights reserved.